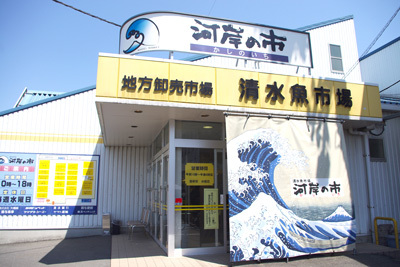 The title says “fishing port” but actually it’s about Japanese calligraphy work. 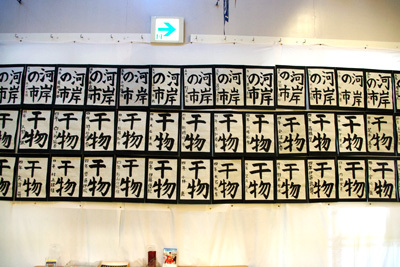 primary schoolers’ calligraphy works were exhibited. 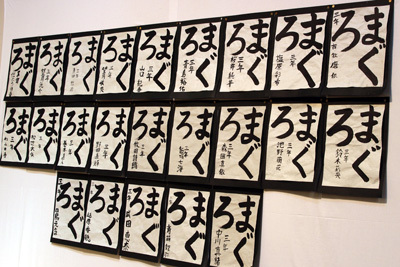 These say “Tuna” in hiragana. It is a masterpiece as a group! Thank you for your comment. 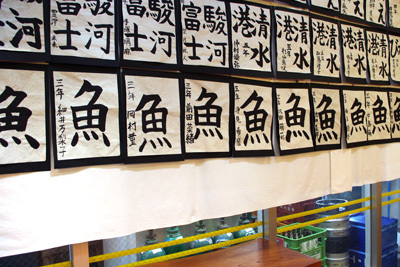 Yes, the strokes in Japanese calligraphy are neat and exact but calligraphy teachers often say showing your originality is important too, so just relax and enjoy your way of shodo (Japanese calligraphy)!